Expanding almost as rapidly as local craft-beer production is the selection of craft beers made elsewhere that are now available here. 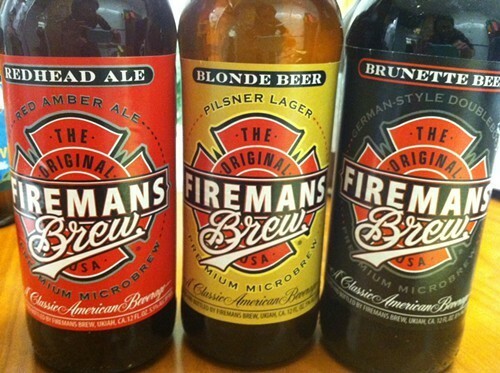 Among the latest entries to the market: Fireman's Brew, an LA-based brewery founded by two firefighters, and Kona Brewing Company, from Hawaii's Big Island. French breweries Pietra and Jenlain aren't new to the market, but they're both celebrating winning medals at the World Beer Championships, and their publicist sent a couple samples my way. The Fireman's Brew website has one of the cheesiest Flash intros I've seen in a while: an animated background featuring a blazing fire with the slogan "Extinguish your thirst" printed on it. Naturally, it comes complete with a crackling fire soundtrack. The names are pretty corny too—Blonde, Redhead, and Brunette. Still, the company does donate some of its proceeds to the National Fallen Firefighters Foundation (though they don't specify what percent). And overall, the beer isn't too bad. Well, except the Redhead, an amber ale that was thin, tasting like wood and not much else. The Blonde, a "pilsner-style lager," wasn't much more complex, but the lemony, tart flavor makes it a drinkable summer beer. And I enjoyed the Brunette (a doppelbock, mercifully no longer named "Brewnette"), which was smooth with notes of chocolate, hazelnut, and burnt caramel. It's available at Binny's for about $8.50 per six-pack ("price varies by location"). 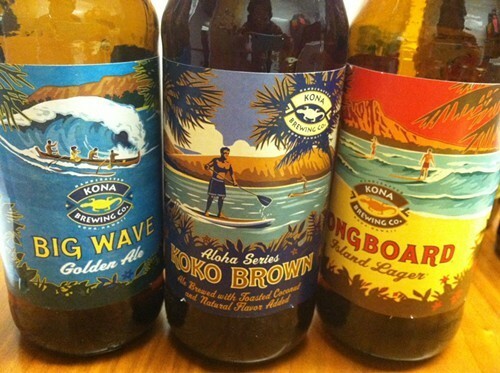 Kona Brewing Company has been around for nearly 20 years and is currently available in 30 states, but until now has been entirely absent from the Midwest. This month they'll launch "Liquid Aloha" (what the company calls its beer) in Illinois, Indiana, Minnesota, Missouri, and Ohio. Their flagship is Longboard Island Lager, and I can't give it any higher praise than saying it tastes like a good lager, not at all watery or skunky. The Big Wave Golden Ale is similarly straightforward, both slightly hoppy and slightly sweet with a touch of pineapple. Koko Brown Ale, the best of a good lot (I only tried those three, though there are several more beers in Kona's regular lineup), was intensely coconutty and roasty-tasting with chocolate overtones. They're all sold at Binny's for $7.99 a six-pack. Brasserie Pietra, located on the island of Corsica, won a platinum medal at the World Beer Championships for Colomba, an unfiltered white beer infused with arbutus, myrtle, and juniper. It's as citrusy and yeasty as you'd expect from the style, a little spicy with notes of pear and coriander. I liked the beer—it's pleasant and easy to drink—but didn't think it was as outstanding as the WBC judges apparently did. 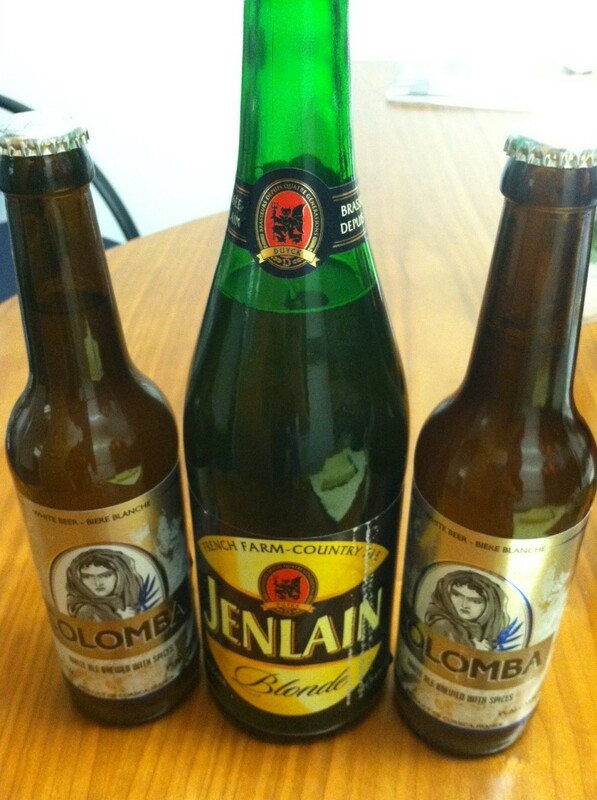 Jenlain Blonde, made in northern France, got a silver medal. The official description: "Complex aromas of spicy, yeasty orange cake, nut butter, and honeyed bread crust with a silky fruity medium-to-full body and a tangy, peach, clementine, and spice layered finish with earth hops keeping the fruit in check." I have no doubt that someone detected all that in the beer, but to me it tastes exactly like honey. It's almost more like a mead than a beer, gently carbonated and extremely sweet, with a very slightly bitter, oaky finish. It and the Colomba are both available from Whole Foods and Binny's, as well as at Lula Cafe. Retail, the former is $7.99 for a 750-ml bottle and the latter is $9.99 for three 11.2-ounce bottles.